Data Privacy Day has become an important awareness event, providing individuals and businesses with the correct education and information to ensure our data is consistently in safe hands. Here, six industry experts give their take on why the day is so important and their opinions on what can be done to ensure better data protection. Although 2018 saw the implementation of GDPR finally become a reality, data privacy has still presented a huge issue for many companies and businesses globally. With social media giants seemingly selling our data to third parties, NHS staff supposedly reading patient records without good reason and the questionable way in which banks may be using our data to make money, the chances of our data falling into the wrong hands appears to be bigger than ever. “Data privacy is not just a corporate or individual issue that affects digital lives, it can be a route to compromising citizen safety,” explains David Higgins, Director of Customer Development, CyberArk. “This Data Privacy Day, organisations should encourage their entire workforce – not just IT teams – to re-evaluate how they secure and manage data. “Data has become – arguably – the world’s most valuable asset and data which could be used to wreak havoc on citizens’ lives is a tempting target for attackers. Compromised credentials that lead to a data breach could mean that incredibly sensitive data becomes available. Administration log ins to critical national infrastructure (CNI) systems, for instance, or medical data that could be used to profile or compromise key individuals in government to help carry out a successful attack, like accessing the plans of a nuclear power station in order to learn how to shut it down. Dr Darren Williams, Founder and CEO of BlackFog agrees that, “following a year of data scandal, data privacy day comes at a pivotal time for organisations across the spectrum. 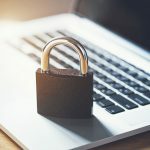 Privacy will undoubtedly come to a breaking point in 2019, with the existence of GDPR in Europe and similar laws under development in the United States and Australia. Citizens are now becoming aware of the invasion of privacy from social network platforms, major tech companies and even major governments around the world. “And this invasion of privacy is leaving citizens vulnerable to attack. As every single – seemingly innocent – application or website they visit continues to collect some form of data about their usage and identity, this is allowing hackers to attack from every angle – profiling a person’s behaviour as they browse online on their devices and, in many cases, stealing their personal data. Tristan Liverpool, Director of Systems Engineering, F5 Networks also explains how advancements in our digital age are creating further challenges for data privacy today. “Corporate cloud literacy is becoming an operational prerequisite as technological progress accelerates in EMEA. The explosive proliferation of applications, and their associated data, has created a vast new playing field for cybercriminals in the cloud. Today, the fear of attack is constant. “We urge businesses this Data Privacy Day to rethink where their priorities lie in an increasingly complex and shifting IT landscape. An immediate priority should be to secure all business applications. This will allow organisations to gain a tremendous return on investment and manage multi-cloud deployments with greater certainty. “As we approach the first data privacy day since GDPR has been in force, there is no doubt that analysing the effectiveness of the regulation will dominate.” Chris Hodson, EMEA CISO, Tanium, goes on to explain that, in his role as a CISO, he believes “there are many common misconceptions of GDPR. “Firstly, we must remember that approximately 80% of GDPR isn’t directly within the CISO’s purview. The whole business, most notably the DPO, must be responsible for driving data privacy across the enterprise. The security function can certainly help with the “how” of data protection and must be responsible for putting the processes in place to ensure that data is safeguarded. However, we are often very little use in ascertaining the “why” of data collection. For a security team or CISO, it’s about ensuring that controllers (and processors) carry out data processing in a transparent fashion. It’s about making sure that information is not left lying around in servers ad infinitum. Chris Huggett, Senior Vice President, Europe and India, Sungard Availability Services agrees that “GDPR sent organisations across Europe into a tailspin over their data storage and privacy procedures, and months on, only 59% of companies believe they are GDPR-compliant. The amount of data we produce every day is truly mind boggling. There are 2.5 quintillion bytes of data created each day at our current pace and that will only accelerate with the growth of the Internet of Things (IoT). Over the last two years along, 90% of the data in the world was generated. “A growing issue that is often overseen in terms of GDPR, is the result of an IT outage. There is no point in having resilient hosting and secure clouds if employees can’t connect during an outage. As a server or organisation’s infrastructure is down, data is then at risk to exposure and therefore a company is at risk of failing compliance. Securing your business and personal information takes diligence, consistency and maintenance. When an outage occurs, businesses must know exactly how to react immediately. IT and business teams will need to locate and close any vulnerabilities in IT systems or business processes and switch over to disaster recovery arrangements if they believe there has been a data corruption. Business units need to invoke their business continuity plans and organisations need to stand up their executive Crisis Management Team. 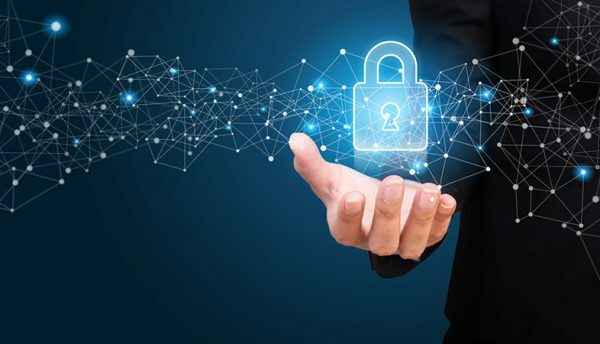 Adam Mayer, Senior Technical Product Manager, Qlik says, “respecting data privacy rights is something that all employers must be confident with, especially in the GDPR era, where being open and transparent about the use of personal data has become increasingly paramount. “Just last week Google faced a huge £44m fine by the CNIL for breaching privacy rules and privacy group NOYB claimed Spotify, Netflix, Amazon and Apple are also breaking GDPR rules. 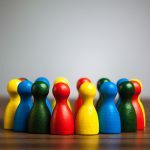 “When it comes to supporting staff with data protection regulations, companies must ensure that strong data governance polices are in place and that all employees know them and understand why they are important. Being data literate – the ability to read, work with, analyse and argue with data – is the key to unlocking this understanding and building customer trust in the long-term. Dan Turner, CEO, Deep Secure believes “it’s always best to assume that cybercriminals are better at attacking than you are at detecting them. Indeed, most ‘detect and protect’ technologies, like data loss prevent systems, are not sophisticated enough to identify new exfiltration methods. Steganography, for example, whereby a cybercriminal can encode both the initial infection and then the information it wants to steal into the pixel data of images, is largely undetectable. Whether the images are sent out in emails by a malicious insider, a tactic used by Chinese spies stealing turbine information from General Electric, or remotely infected and controlled by a hacker, detecting and protecting against data exfiltration has never been tougher. Data Privacy Day comes around every year, but it shouldn’t be taken for granted. Businesses and individuals alike should use it as is an opportunity to review existing data privacy procedures and ensure they are embedded into every operation and part of the business. GDPR has certainly raised the bar, but it is going to stay there for the foreseeable future so all organisations should ensure they are compliant.